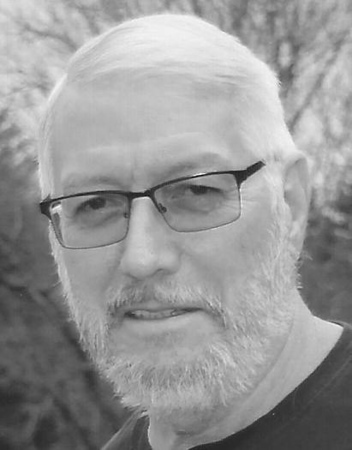 Terry H. Goodwin, 69, of Litchfield, former Plymouth resident, husband of Betsy (Minor) Goodwin, passed away Tuesday, Jan. 29, 2019 at home. Terry was born Dec. 14, 1949, in Torrington, son of the late Charles and Doris (Blake) Goodwin. Prior to his retirement he was employed as a water pollution control operator for the Town of Southington. He was a former member and deacon of First Congregational Church of Plymouth. He was a member of Conn. Society of Genealogists and a certified genealogical researcher. He was involved with peace and justice movements over the years. Terry could be counted on to help those he cared for. He enjoyed a variety of music and movies, acquiring a large collection of both. Terry had an unbelievable range of knowledge with an appreciation of literature and the proper use of words. He will be sorely missed. In addition to his wife Betsy, he is survived by his brothers, Michael Goodwin and his wife, Kazuko, of Ocala, Fla., Kevin Goodwin and his wife, Kathy, of Torrington; his sister, Karen Delaney, of Randolph, Vt.; his sister-in-law, Sharon Goodwin of Ocala, Fla., and several nieces and nephews. He was predeceased by his brothers, Allan, Ralph and Phillip Goodwin. A memorial service will be held 11 a.m., on Saturday, Feb. 9, 2019, at the First Congregational Church of Plymouth. Burial in the spring will be in West Cemetery, Plymouth. Relatives and friends may visit at the Scott Funeral Home, 169 Main St., Terryville on Friday Feb. 8, 2019, from 6 to 8 p.m. In lieu of flowers donations may be made to the Smilow Center, 200 Kennedy Dr., Torrington, CT 06790. Posted in The Bristol Press, on Friday, 1 February 2019 19:25. Updated: Friday, 1 February 2019 19:28.